Developing healthy interpersonal relationships, both platonic and intimate, is essential in maintaining long-term recovery from drug and alcohol addiction. When entering recovery many people have little to no close relationships due to the damage they have caused while in active addiction. Often the relationships they have maintained are unhealthy, not emotionally supportive, and occasionally even abusive. Learning how to detach from these relationships is imperative for the addict, because it is impossible to heal and recover while still involved in unhealthy environments. This can be a challenge for many people because although they are taking a step towards a healthier, happy life detaching from relationships can leave them feeling alone and vulnerable. Due to the nature of their past relationships many people don’t have any idea how to form healthy relationships or what a healthy relationship even looks like. Working with a sponsor and therapist can be very helpful in this area because they will model what healthy human interaction and positive emotional support look like. There are many things that are important to acknowledge when beginning to form new relationships in recovery. It is incredibly important in recovery that people make sure to take the time to get to know each other. Taking relationships slow and steady helps to ensure that neither party causes harm to the other and that both people are aware of the things the other needs in a relationship. It's easy to mistake excitement and validation for love, especially in recovery where people are looking for instant gratification and distraction from intense negative feelings. 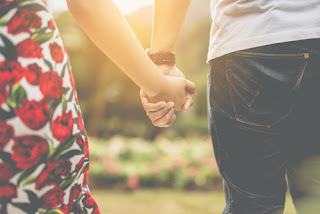 For this reason people often jump into relationships quickly, whether it be a friendship or romantic relationships, and later realize they have nothing in common with this person or continue their pattern of volatile interpersonal relationships. In romantic relationships this often leads to relapse, as the person has been distracted from completing any deep personal introspection and adjustment of behavior. When relationships are taken slow and given time to develop naturally, the skills of healthy communication, confrontation, and emotional support can be learned with the help of treatment providers and 12 step programs. Community and healthy connection can be one of the biggest and most valuable assets in the difficult journey of recovery. Another important factor in relationships in recovery is to make sure that both people are focusing on their individual program. Frequently when people begin relationships they stop going to as many 12 step meetings, limit communication with their sponsors, and slack in the personal areas of their programs such as 12 step and service work. This is because the new person in their lives becomes a distraction and they lose focus on their own work. This can be dangerous because when people are focusing on external factors and distractions instead of internal work and validation they put themselves at a risk for relapse. The other part of this is for people to be able to identify when a relationship is causing harm to them and use the tools they have learned in recovery to exit the relationship. These tools include setting boundaries, communicating feelings, identifying maladaptive behaviors in ones self and others, and identifying relapse risk factors (going to bars for social events, high levels of stress due to conflict).